Roaring Brook Press, 9781596439672, 32pp. 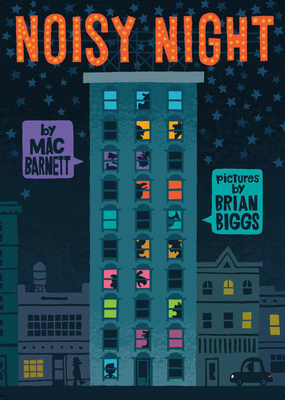 With innovative split-level spreads that offer the feeling of climbing an apartment building floor by floor, this clever and colorful collaboration between New York Times–bestselling author Mac Barnett and gifted illustrator Brian Biggs offers an irresistible investigation of one noisy night. Mac Barnett is a New York Times bestselling author of books for children, including Extra Yarn, which won a 2013 Caldecott Honor and the 2012 Boston Globe-Horn Book Award for Excellence in Picture Books. He also writes the Brixton Brothers series of mystery novels. He was born in 1982 to non-farmers in a California farming community. Now he lives in Berkeley.